The story of the first nuclear power plant 100 per cent in Switzerland ... but also the last. 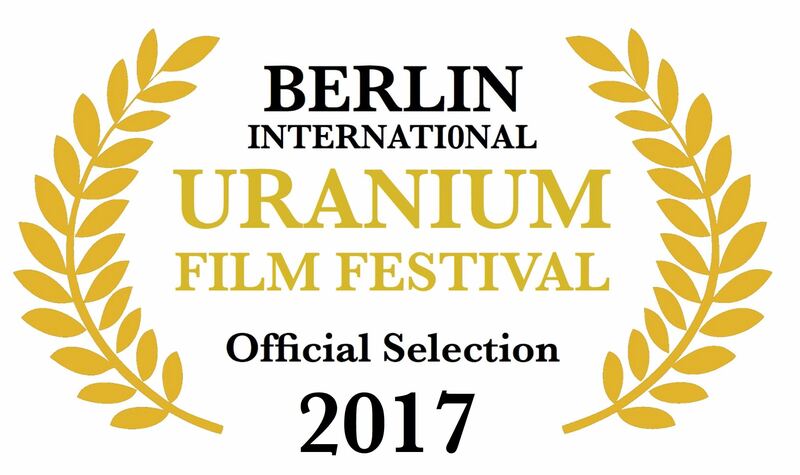 Best animation film Uranium Film Festival 2016. Japan, 2016, Director Tamotsu Matsubara, Production Power-i Inc, Documentary, 98 min, Japanese with English subtitles. Tamotsu Matsubara intends to come to the festival and screening in Berlin. Director Michael Saup is present in Berlin. Masako Sakata is present in Berlin. UK, 2016, Directors Ian Higgins, Dominic Higgins, Production Nigel Martin Davey, Ian Higgins, Dominic Higgins, Documentary/Experimental 114 min, English. The film explores in a 15 minutes introspective audiovisual metaphor different themes such as human condition and the impact on life and nature after a nuclear disaster, and takes place in Japan of today. Meanwhile, the soundtrack supports the effort to combine this abstract representation of perception with the reality of an omnipresent and invisible threat. Director Cris Ubermann is present in Berlin. Germany, 2016, Directors and producers: Marco Kühne and Sonka Terfehr, Documentary, 18 min, German, English subtitles. Uprooted people and a nature contaminated for centuries - that is the reality, five years after the nuclear catastrophe of Fukushima. An end to the disaster is not in sight. This short documentary tells the story of the people from Fukushima, forced to leave their homes without knowing if they could ever return, and explores the work that Greenpeace has been doing in the region since 2011. Marco Kühne and Sonka Terfehr are present in Berlin. Ukraine/Germany, 2016, Director Moritz Schulz, Production Michael Sladek & Earlybirdpictures GbR, Documentary, 55 min, Russian, Ukrainian with German subtitles. Director Moritz Schulz and Producer Michael Sladek are present in Berlin. Germany/Tanzania 2016/17, Director Sophie Filip, Producer Robert Cordes, Music video, 5 min, English subtitles. Director Sophie Filip, Producer Robert Cordes are present in Berlin. France, 2015, Director and producer: Benjamin Huguet, Animation director Debanjan Nandy, Sound designer Rob Malone, Animation-documentary, 15 min, French, English with English subtitles. Director Timothy Large is present in Berlin. Fathima Nizaruddin intends to come to Berlin. Ukraine, 2011, Director Serhiy Zabolotny, Production, Igor Kobryn, Film studio „Telecon“, Documentary, 27 min, Russian with German subtitles. A documentary film about the Chernobyl disaster dedicated to the 3,828 "liquidators" who were involved in cleaning the most dangerous areas of the nuclear plant roofs, the "M" zone. Valeriy Starodumov worked as a dosimeter scout in September 1986. Valeriy worked at the epicenter of the explosion, the reactor's operation area, which was the most radioactive part of the site. The protagonist was a direct participant in the operation and went to the roof himself and brought people there after a failed attempt to clear the area with robots. At the government level, it was decided to assign soldiers and cadets of military schools to the task of cleaning the roofs. Unique pictures of the events of 1986 are widely used in the film. Chernobyl 3828 is dedicated to the people who saved the world from the radioactive contamination at the cost of their health and life. Sweden/Brazil, 2009, Director Lars Westman, Co-Producer Zenildo Barreto, Documentary, 70 min, Portuguese, Swedish with German subtitles. Brazil, 2017, director Benedito Ferreira, fiction movie, 23 min, Portuguese with German subtitles. Director Benedito Ferreira intends to come to Berlin. Algeria, France, 2016, Director Larbi Benchiha, production: Aligal production and France Télévisions, documentary 52 min, French with German subtitles. Director Larbi Benchiha is present in Berlin. UK/The Netherlands, 2011, 13 min, Art & Experimental documentary, Language: Multilingual, Director: Peter Greenaway, Video Design Irma de Vries, Producer Change Performing Arts. Germany/Japan, 2012, 4 min, Animation, Directors: Shoko Hara and Paul Brenner, Duale Hochschule Baden- Württemberg in Ravensburg. Germany, 2011, 2 min, Animation. Director: Anna Luisa Schmid | Producer: Anna Luisa Schmid. No Dialogue. Macedonia, 2014, 52 min, documentary. Director: Agim Abdullah, Production: Press TV, Macedonian and English with English subtitles. Parallel to the films, the festival presents two exhibitions: THe IPPNW photo exhibition Hibakusha Worldwide from the 10th to15th of October in the Zeiss Großplanetarium. It is an exhibition about the survivors of the US-Atomic bombs dropped over Hiroshima and Nagasaki, about the victims of the more than 2000 atmospheric atomic bomb tests and about those affected by nuclear or radioactive accidents worldwide. CESIUM 137 - The second photo exhibition is shown in the cinema in the Kulturbrauerei. It is about Latin America's biggest radioactive accident. Just 30 years ago, in September 1987, two garbage collectors discovered in the ruins of a former cancer hospital in Goiânia, the capital of Goiás in central Brazil, a cancer treatment device. Without knowing the danger, they take the lead-coated source of radiation and sell it to a scrap metal dealer who opens the "box of the Pandora" and unconsciously releases the highly radioactive Cesium-137. 19 grams of Cesium-137 irradiated a district as well as hundreds of people and generated 6,000 tons of radioactive waste. Main Festivalpartners & Sponsors are Umweltbundesamt, the Elektrizitätswerke Schönau (EWS), Naturstrom, the International Physicians for the Prevention of Nuclear War Germany (IPPNW), Sayonara Nukes Berlin, the International Coalition to Ban Uranium Weapons Germany (ICBUW), COOP Anti-War Kunstbar Café, the International Association of Lawyers against Nuclear Arms IALANA), the Friedensglockengesellschaft Berlin, Cinestar Berlin and the Zeiss-Großplanetarium.